Social democracy and neoliberalism: victim or vanguard? That such sentiments could be expressed by a Labour leader in the neoliberal era is unremarkable. Social-democratic parties have been falling over themselves during the last few decades to reassure capital that, not only have they jettisoned their socialist inheritance, they are also firmly on board with the neoliberal agenda. For British Labour, Miliband is just the latest in a series of leaders that have driven the party to embrace neoliberalism. Gemma Weedall addresses Socialism 2014 in Malaysia. November 20, 2014 -- Green Left Weekly -- Climate change is the biggest and most urgent threat facing humanity today. We are seeing global temperatures rise at an unprecedented rate, with 13 of the 14 warmest years on record having occurred in the past 14 years. In fact, if you are under 37 years of age, you have never seen a year of below average temperature. Last year in Australia, over 150 weather records were broken, including experiencing our hottest day, week, month and year on record. It is likely that these records will not be long-standing, with all signs indicating they will be broken again this coming summer. There are predictions that at current rates of emissions increases, the Arctic will be ice free in summer as soon as four years from now, but in the best case scenario, in about 20 years. This represents a dangerous tipping point that will take us into uncharted territory from which we may not be able to return. For more on Gough Whitlam's government, click HERE. And HERE for more on the ALP. November 1, 2014 -- Green Left Weekly -- The passing of former Australian Prime Minister Gough Whitlam at the age of 98 on October 21 provoked a wave of emotion from the community, both young and old. At a time when the federal government is trying to smash the remnants of the progressive reforms initiated during Whitlam's Australian Labor Party (ALP) government — in office from December 1972 to November 1975 — the Whitlam era seems like a period from another political universe. 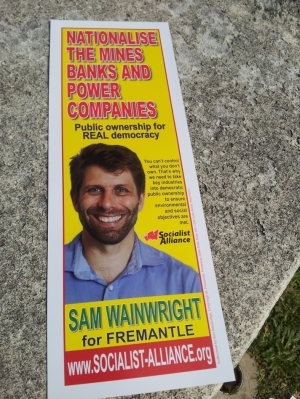 September 4, 2014 -- Socialist Alliance, posted at Links International Journal of Socialist Renewal -- The following statements were adopted by the Socialist Alliance national executive on September 4, 2014, in response to the Australian government's decision to join the US and other imperialist states in a new military intervention in Iraq. 1. The US wars on Iraq (1991 and 2003) killed hundreds of thousands and completely wrecked the country. The US promoted sectarian divisions in order to retain control. It created the conditions for the rise of the "Islamic State" and is thus responsible for the current crisis. 2. 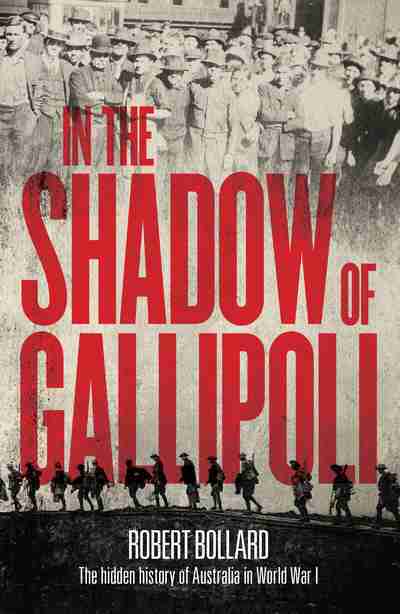 Australia was an enthusiastic junior partner in both US wars on Iraq and thus shares responsibility for the terrible suffering inflicted on the Iraqi people as well as the current situation. 3. There is a humanitarian crisis in Iraq and Syria due to the Islamic State’s ethnic cleansing and general terror campaign. Approximately 1.5 million refugees are living in camps in Rojava (the Kurdish liberated zone in northern Syria), Turkey and the Federal Kurdistan Region of Iraq. a. Australia should give large-scale assistance to these refugees. This should be delivered by non-military means. b. Australia should massively increase its refugee intake from Iraq and Syria. c. No asylum seekers already here should be forcibly returned to Iraq or Syria. Ukraine government troops mass for an offensive in the east in April. STOP PRESS, July 29, 2014: Roger Annis reports that there has been “constant and heavy shelling” by the Ukraine army during the past two days on the towns and villages in Donetsk region surrounding the crash site of MH17. The site was turned over to international investigators four days ago by Donetsk self-defence fighters, but the investigators have not been able to access it due to military operations of the Ukraine army. "Self-defence fighters say the army controls the area surrounding the site. There are no observers present." Read more HERE. Australia: Reject 'Cold War posturing' over MH17 tragedy: No troops to Ukraine! July 24, 2014 -- Socialist Alliance -- The Socialist Alliance conveys its condolences to the families of all its victims of the suspected shooting down to Malaysian Airlines flight 17 (MH17) over war-torn eastern Ukraine but it rejects the inflammatory Cold-War-style political posturing by both Liberal PM Tony Abbott and Labor Party opposition leader Bill Shorten. Both these politicians have shamelessly sought to exploit this terrible tragedy to step up their pro-war and imperialist propaganda and they have been urged on by the capitalist media. If the downing of MH17 was a deliberate shooting down of a civilian airliner, then who ever was responsible would be guilty of an atrocious crime against humanity and should be punished accordingly. However, an independent and objective international investigation into the incident needs to be allowed to take place without provoking more war or leaping to conclusions about who may be responsible. Instead the Australian government has flagged sending soldiers as part of an "international deployment" to eastern Ukraine under the guise of securing the crash site. This comes amid reports that the US was planning to send military advisers to assist the Ukranian regime in its war against rebels in the east. Socialist Alliance: No more military intervention in Iraq! June 19, 2014 -- Links International Journal of Socialist Renewal -- The US, Australia and other partners-in-crime in the war on Iraq must not be allowed to use the latest developments in that country to increase their military intervention in the region. The Socialist Alliance adds its voice to others in Australia rejecting Prime Minister Tony Abbott's all-the-way-with-the-USA commitment made to US President Barack Obama over Iraq. The 2003 invasion of Iraq was a monstrous war crime. Millions of people have died or been displaced as a consequence of that invasion and the subsequent occupation. The leaders of governments that ordered that invasion and occupation – chief among them former US President George W. Bush, former British PM Tony Blair and former Australian PM John Howard – need to be brought to account as war criminals. The invasion of Iraq did not bring democracy but simply replaced one brutal regime with another more pliant to Western imperial interests. The invaders cared nothing for the people of Iraq and region and acted to advance the selfish interests of the powerful corporations they serve. "Despite repeated warnings from the majority of the world's scientists of the urgent need to slash greenhouse gas emission, the concentration of carbon dioxide in the atmosphere passed over 400 parts per million for the first time in human history – signalling the globe’s dangerous race to catastrophic and irreversible global warming." Adopted by the 10th National Conference of the Socialist Alliance, June 7-9, 2014. 1. The 10th national conference of Socialist Alliance is taking place at a time extreme inequality, intensified conflict and ecological crisis on a global scale. The 85 richest individuals in the world now hold as much wealth between them as the 3.5 billion poorest people in the world. A world divided by such extreme inequality will never be at peace and this is fundamentally why wars and uprisings continue to break out in numerous countries. This unprecedented concentration of wealth and power also is an absolute block to the urgently needed transition to an ecologically sustainable future. More than 100,000 people mobilised across Australia for “March in March” 2014, in more than 34 towns and cities, in the largest anti-government protest for nearly a decade. 1. Australia has escaped recession for more than two decades, despite the impact of the Asian and global financial crises on the world's economies. While Australia experienced strong economic growth in the years following the Global Financial Crisis (GFC), economic growth has now slowed to 2.8%, and is mainly driven by commodity exports, consumer spending and housing investment. With mining projects shifting from the capital investment stage into production for export, falling commodity prices, as well as increased global competition for commodity exports will likely impact on Australia's export income (and economic stability) in the years to come. Protesters outside Tony Abbott's $396/head dinner with the Sydney Institute on April 28. May 1, 2014 -- Socialist Alliance -- A casino was a fitting venue to host Australia's Prime Minister Tony Abbott's keynote address to the 25th birthday dinner of conservative think tank, the Sydney Institute, on April 28. Abbott's speech, coming two weeks ahead of the annual budget, was full of promises of "happiness", "security" and "a better life", but in reality, Australian workers, pensioners and the poor will be lucky if they're left with much more than the shirt on their backs once the government is done fleecing them. 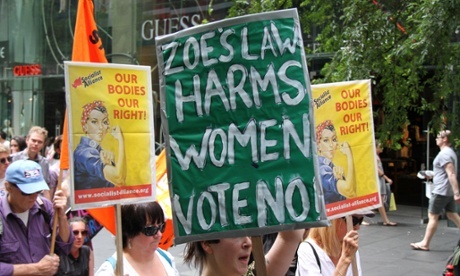 April 8, 2014 -- Links International Journal of Socialist Renewal -- The New South Wales (NSW) parliament is due to debate the final passage of the anti-woman legislation known as “Zoe’s law” [Crimes Amendment (Zoe's Law) Bill 2013]. Originally introduced by the far-right Christian Democratic Party’s Fred Nile in the upper house (Legislative Council) and later taken up by Liberal Party MP Chris Spence in the lower house (Legislative Assembly), where it has already passed, it has yet to be voted on by the Legislative Council. As yet it has not been scheduled for a vote but it is likely to pass given the support it has among many members from both major parties, the Liberal Party and the Australian Labor Party. March 13, 2014 – Links International Journal of Socialist Renewal -- This is an extraordinary book, one that will increase your appreciation of the country’s first people, as we begin to understand their amazing knowledge and sheer genius in the way they cared for the land, or as Bill Gammage calls it the “biggest estate on Earth”. Gammage describes with many examples how the Aborigines looked after the land. No corner was forgotten, including deserts, rainforests and rocky outcrops, across the entire continent for at least 60,000 years until the colonisers began to destroy all this labour after their arrival in 1788. March 8, 2014 -- Green Left Weekly -- You can tell how good a newspaper is from the enemies it keeps. Rupert Murdoch's Australian wrote a sneering dismissal of the new Saturday Paper, launched last weekend, and used its ultimate insult by comparing the new paper to Green Left Weekly, calling GLW “ignorant, moralistic and simplistic”. On November 3, 2013, Brian Manning -- veteran Northern Territory communist, trade unionist, campaigner against racism, long-time activist for Indigenous people's rights and solidarity campaigner with the East Timorese people (among many other causes) -- died in Darwin, aged 81. Brian won enormous respect for his commitment to human rights and his unstinting dedication to changing the system. The following chapter appeared in the 2003 book, A Few Rough Reds: Stories of Rank and File Organising, published by the Australian Society for the Study of Labour History. This and others chapters are available at http://roughreds.com/rrone/index.html. Brian Manning addressed the Gurindji Freedom Day celebration to mark the 45th anniversary of the historic walk-off. On November 3, 2013, Brian Manning -- veteran Northern Territory communist, trade unionist, campaigner against racism, long-time activist for Indigenous people's rights and solidarity campaigner with the East Timorese people (among many other causes) -- died in Darwin, aged 81. Brian won enormous respect for his commitment to human rights and his unstinting dedication to changing the system. As a tribute to Brian, Links International Journal of Socialist Renewal highlights one important chapter in his inspiring political life: his important role in the historic struggle of the Gurindji people for their rights. 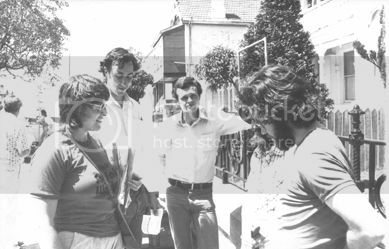 The photo above (Sydney, c 1975) shows (from left): Joy Ecclestone, Dave Holmes, Doug Lorimer, (obscured unknown) and Geoff Payne. October 25, 2013 -- Links International Journal of Socialist Renewal/Arguing for Socialism -- The July 27, 2013, Green Left Weekly carried an obituary for Doug Lorimer written by Pat Brewer. For comrades interested in the basic details of Doug's political CV I would recommend it. I first met Doug in February 1971 in Adelaide. John Percy, myself and Dave Riley went over as a national investigating commission of the Socialist Youth Alliance (SYA). Two members of the local SYA branch were or had become Maoists and were causing us some political embarrassment. Doug Jordan was the branch organiser.